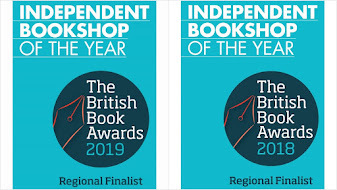 Tomorrow (Saturday June 30) is the start of Independent Booksellers Week, an annual celebration of everything that is good about independent bookshops, independent shops in general and - ultimately - the importance of vitality and diversity on our high streets. 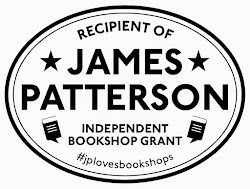 This year, several publisher have made exclusive limited editions available to independent bookshops, and we would urge you - wherever you live in the UK and Ireland - to seek out your local independent bookshop, and find out what events and hand-picked recommendations they have coming up in the next week - and beyond. For today's '3 4 Friday' selection, we've picked three of the exclusives available through indies this year - and several can be found on our Special Buys page on the blog. Firstly, Antony Beevor's 'The Second World War' will vie with Max Hastings' recent publication to be the definitive single-volume account of World War Two. In some ways this is the book that Beevor was destined to write, with previous books such as Stalingrad and Berlin - published to critical acclaim and commercial success - honing a style that brings a soldier's eye to the realities of battle strategy, with a compelling writing style that is well suited to a huge canvas. The limited first editions are specially produced and signed by the author. We think it makes an excellent gift - and deserves a place on the bookshelf - for anyone interested in 20th century history. Next up is a limited edition re-issue of an absolute classic, and a great example of someone who completely reinvented themselves in the process from ageing rocker to new-age farmer and author. Chris Stewart, erstwhile original drummer with Genesis, upped sticks, took his family out to a remote region of Spain, and attempted to ingratiate himself with the locals to mixed, sometimes poignant but eventual success. 'Driving Over Lemons' is funny, in parts outrageous - and is a book which led the way for many memoirs about restarting in another culture. But its success was less the subject matter and more a genuine talent for autobiography which we think everyone can read and find uplifting. 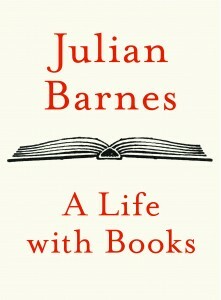 And finally, following recent bookgroup discussions of 'A Sense of an Ending', we definitely have a Julian Barnes appreciation society underway at Mostly Books, so how exciting to be able to have a special, indie collectable exclusive in the form of a £1.99 essay entitled 'A Life with Books'? Barnes is a novelist who can touch on many things - emotions, the nature of reality - with just a few words, or a vignette, and in this lightly written love letter to reading, he gets to the heart of what it means to have a life lived in books, and what impact the right books can have on your life. I can think of no better book to celebrate independent bookseller's week with - and we hope you can celebrate with your local indie over the next dew days!